As Associate Consultant for Blue Sail, William was engaged to deliver a city-wide Events Strategy for transforming Aberdeen into a culturally vibrant city to engage with residents and increase tourism. We reviewed existing provision, infrastructure, audiences, quality and viability to advise on a year-round framework of Headline, Feature and Commissioned events and festivals for reactivating and animating Aberdeen’s public spaces, matching activities to existing venues, and advising on new infrastructure. Budgets were realigned to deliver greater impacts and potential funding sources from both public and private sectors outlined, as well as the criteria on which to base investment decisions. As Associate Consultant for Blue Sail, William undertook a strategic review to inform the City's future priorities, approach and the delivery structures needed to realise its potential. Assessing the current events offer, resources and spaces, strategic actions proposed included: Outdoor Events Charter setting clear expectations in event planning; Infrastructure investment advice to develop world-class event sites; and Sectoral capacity building to make Brighton & Hove a centre of outdoor events excellence. As an Associate Director of FEI Consulting, William led a multi-disciplinary team to establish the new Barnsley Museums & Heritage Trust for the purposes of fundraising. We managed the Charity Commission registration; drew up a constitution to future proof Barnsley Museums Service; and recruited a strong Trustee Board. We developed a 3 Year Business Plan that established a Fundraising campaign; website and communications strategy, and management and administration plan. The China Hall is an important building within the Spode factory site in Stoke on Trent. CDCC and Tomorrow Advisory were commissioned to consider whether there was demand for a multi-use arts and events space in Stoke; and, if so whether the China Hall building could provide accommodation for a successful multi-use arts and events venue. We also provided an initial scope of works with budget costs required to enable China Hall to fulfill this role. Global real estate services firm, Cushman & Wakefield engaged CDCC to provide cultural expertise for a research report to advise on the possible future regeneration / redevelopment of the Old Town Hall Quarter in central Gateshead. The report reviewed the possible occupier requirements and future demand for the site as well as the most suitable timing and method to bring the development forward on the site. As an Associate Consultant for Blue Sail, William advised The James Joyce Centre, and Fáilte Ireland on the potential for The Bloomsday Festival, which is inspired by James Joyce’s book Ulysses and its main character Leopold Bloom. We analysed the opportunities and advised what would be required in terms of resources and management to develop Bloomsday into a signature festival for Dublin. As an Associate Consultant for Blue Sail, CDCC advised on the feasibility of creating a major new illustrated literature festival in Loughborough, building on the town's historic links with Ladybird Books. The first Loogabarooga Festival took place in October 2015. CDCC was retained by property consultancy, Jones Lang LaSalle to review and advise Sandwell Council on the options available for the future use, operation and management of these two town halls. 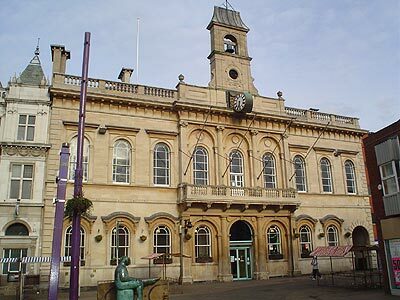 The Review responded to the objectives of utilising the buildings to their maximum; enabling them to regain their identity as the central focus for the town and; maximising the income available from the use of the main halls and ancillary spaces. A key conclusion was that West Bromwich Town Hall should be run as an entertainment promoting venue. In July 2014 the Tour de France, the world’s biggest annual sporting event arrived in Yorkshire. The Yorkshire Festival was a 100 day showcase of the very best arts and culture that the region has to offer, celebrating the achievements of Yorkshire artists and organisations. William was commissioned to prepare the detailed project development plan for the Festival providing the framework for the total project. The Development Plan was used by Welcome to Yorkshire to attract £2 million in grant support from ACE and county-wide local authority investment. The Grand is a state of the art performing arts and multi-media venue located in the heart of Clitheroe that opened in 2008. We were invited to carry out a Strategic Review with the aim of advising on establishing an achievable plan for The Grand’s sustainability and growth. We also provided support for their ACE capital funding application that will lead to increasing the venue's programming capacity. CDCC was commissioned to carry out an Organisational Review and Future Development Plan for the Festival's Trustees to enable the Trustees to make some key strategic governance and operational decisions in order to support the future viability and sustainability of the Festival. As an Associate Director of FEI Consulting, CDCC was engaged to undertake a Strategic Business Case with options appraisal, looking at the viability of developing enhanced cultural facilities at the Brewery Arts Centre site. As an Heritage & Cultural Associate of The Sport Leisure Culture Consultancy we Project Managed delivery of a Business Plan for Derby Museum's 'The Engine', a new visitor attraction, creative hub and learning destination located within Derby’s historic Silk Mill. CDCC was retained by property consultancy, Jones Lang LaSalle to advise Sandwell Council on funding, viability and business planning for this iconic, digital gallery in West Bromwich. Again acting as Project Director for FEI Consulting, we were engaged to identify and analyse issues in relation to operation of this cultural venue and options for three vacant floors of retail space. As Project Director for FEI Consulting, we were engaged to identify options for the future funding and development of this vibrant, week-long cultural tourism event for South Wales. For FEI we were tasked with advising on the creation and delivery a festival development programme for Derby over three years to September 2011. Featured festivals included; Derby Feste, Format International Photography Festival, and the City's Caribbean Carnival. We were commissioned to develop a programming strategy for Bridlington Spa Gardens' DCMS funded Sea Change public realm project. We advised the Festival Directors on their strategic business plan for delivering future growth for this annual outdoor summer boutique arts festival near Skipton, North Yorkshire. A Feasibility study for a district-wide festivals and events programme for Swale Council in Kent, and to develop a vision and costed delivery plan for a new festivals and events programme. Again for Swale, we undertook a Feasibility Study for the Council to assess the potential for developing and enhancing, cultural provision in Sittingbourne town centre as part of its major regeneration plans. CDCC was retained by property consultancy, Drivers Jonas to advise on competitor analysis, demand assessment and operational viability for the Business Case for refurbishing, re-opening and operating Scarborough’s 7,000 seat Open Air Theatre. Back in Scarborough we provided the cultural and operational consultation for the Business Case for a £14 million redevelopment of the Scarborough Spa Redevelopment Project into a modern entertainment and conference venue, along with a full programme of events for its 2,000 seat Spa Complex venue. We are The NYBBGB's major grants' fundraiser, with successful applications to Youth Music, and most recently gaining ACE National Portfolio Organisation status for 2015/18 and writing its Business and Audience Development Plan. Capacity building development business plan advising on organisational development, funding and governance.